Throughout my conscious existence, the eventual dire fate of our world has hovered in the background. Ibn Katheer has described it best and in detail in his End of Times book. All faiths of the holy books, have also forecast dire circumstances and the resultant conflagration within an approaching time period. That they have forecast the heavy involvement of Syria in the events, is even more disconcerting. Till five years ago, one relied on the unlikelyhood of the imminent involvement of Syria as a show stopper. Not anymore! Syria is central to the world’s issues. The internet is rife with scholars warnings, that events are leading to disaster. Not that anyone is heeding them. If you turn to logic rather than religious belief, it is still as alarming. The status quo suggests a terrible period ahead. Why mankind cannot cure its ills, is a subject of great study. We are seemingly on an auto pilot and heading towards a mountain. Listed below in no particular order, are some of the prevalent issues. A) economic upheavals and another impending economic disaster. 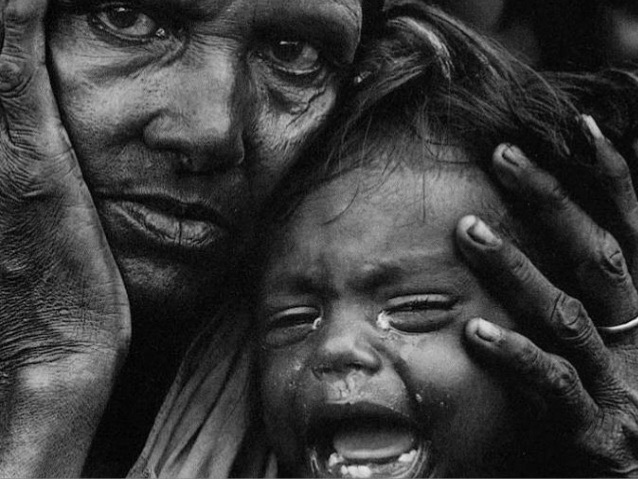 B) social ills (ageing, population, migration, inequality, family breakdown). D) consumer economics and its by-product “disastrous environmental damage”. E) technology race, the cause of many social and economic ills. All the above are well documented or broadcast over media channels world over. We get a daily doze in the news. It probably compounds the issues, as positions get entrenched. So Fox News broadcasts to ~30 % of the US population, who believe in them implicitly and each story is a further confirmation of that belief. Nevertheless, we humans have lived in hope down the ages. We do not give up easily and surely our minds look at these circumstances and say ‘there must be a way out’…’there must be some hope’. I too am an eternal optimist. To my mind this is really encapsulated in two differing routes. They seem to be mutually exclusive, as the first does not rest well with the second; both are at opposite ends of the spectrum. The ones who believe in the spiritual side and Allah being the omnipotent one, think that we have to slow this cycle down. Bring a balance to existence. Stop exploiting humans and resources, consume less, be friendlier and rely on Allah to help us to repair this world. It means a peaceful existence, with much less to consume and a calmness returning to life, rather than the present frenetic, headlong madness and rush. The stock market would rule us no more. It means economic targets are not man’s goal and we shall revert to conditions where serenity is as important as the next square meal. The technology side hopes to create more advanced technology, which will resolve our consumption issues and enable us to power the earth to sustenance, without causing long term damage, unlike in the last 300 years. Can this be achieved? Certainly, some technology suggests this. But, a bit worrying is the cognitive artificial intelligence which can design and build by itself. 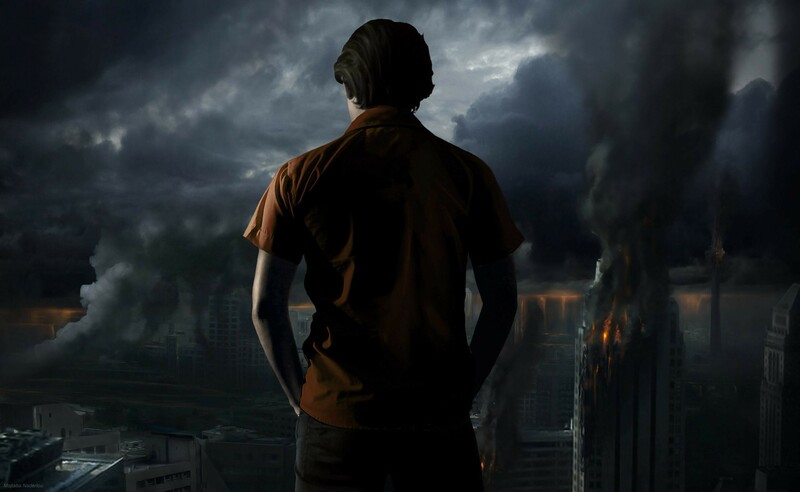 Personalities like Steven Hawking and Bill Gates have expressed trepidation, whether humanity is about to lose control to the computer and end up with a Skynet type scenario. Trending suggests that technology will drive things on to whatever end rather than spirituality. That is the way the world is tilting. Either silver lining, to the present circumstances of the world, is an essential. If one is intuitive enough, one can feel the stretch of humanity. Unfortunately, most cannot see this, as they go about their stressful tasks of daily existence; but just sit back and watch….it is visible! A world at the edge of the precipice, one can see storm clouds gather and there is horror on the horizon. Someone or some people will have to come forth and steady the ship. Soon! There are many people who are warm humans. They feel, have passions and they live to try and change the world. Out of such individuals, there are a few who have been given special skills by Allah (swt) to fulfil their calling. And then right at the end of this spectrum of humanity, out of these gifted individuals, come those who are very successful in exploiting these special skills. By the nature of elimination, these last individuals are very few and far between. When you come across them you know. They not only have greatness, but they touch you without even trying and you know that these are kings and high nobles, who rarely walk this earth. I watched a fascinating interview by Steven Sackur, in HardTalk, with Don McCullin, the legendary photographer. Here is someone who has lived life on the edge. Touching eighty, Don, has been on photographic assignments since 1959. A vast majority of his work has been in the heartland of tragedy. Don was in Aleppo in Syria fairly recently and is now planning one last visit to Iraq. In reality he retired several years ago from these wars and crises photographic assignments. But, from what I could gather, he is addicted to this passion and keeps going back, though clearly his body cannot be backing him at this age. As Don accounted, he has survived over a thousand dead colleagues who were on similar assignments in these fifty plus years. They all risked their lives, sacrificed on the alter of their passion and were driven to bring reality to the world. Terrible deeds go on in the name of humanity and these people, who are right in the middle of war zones, risk their own lives to bring reports to us. Don himself once escaped death, when his Nikon camera stopped a bullet. Sometimes you are born lucky. So why did Don do what he did? He was dyslexic, a school leaver after his fathers early death and then never qualified as a photographer for the RAF. On the card was a clerical existence, in various newspapers in London. But fate was not going to allow a latent skill to go to waste. It intervened. Dons photograph of a London gang in 1959, made it big and suddenly he realised that there was a place where he could make a career. He then did a personal assignment, photographing the events around the making of the Berlin Wall in 1961. This was in the heart of the Cold War and the happening event. From thereon, Dons walk through and into History was an inevitable event. Notwithstanding the strength, a great will to make a difference and a very brave heart, it is Dons conclusions which I want to record here. This man has hoped as few must have. He kept going back into tragedy willingly all his life. Few of us would even have the will to go back for a second assignment. He once saw men runover by a tank in Vietnam, when he said they were like a Persian carpet on the floor, when the tank had done its work. He once picked a lame old lady in a fire-zone and saved her, at personal risk. This photographer hoped and felt. Dons lament after watching the recent refugee crisis in Europe was, that nothing had changed. Humans are still as bad as they were fifty years ago. All this talk of wars to make things better is hogwash. Today even the Cold War might be back at the forefront, with Russia facing off against Nato in Syria. Just like he saw when he started photography in the late 50’s. A photographer laments, when he has seen his life’s work wasted. His last few thoughts, “I am so ashamed, watching this human race”. I remember when Bosnia was happening in the mid 90s, the images on television were excruciating. Not just because of what one saw, but also because of ones own helplessness. Life was being murdered and here we were armchair humanity, feeling pain, but impotent. We could send money, but that did not stop the killing. 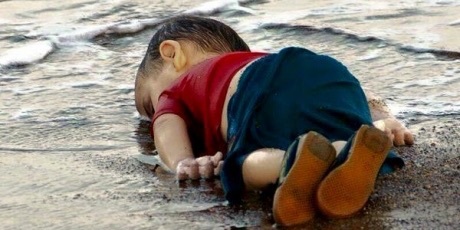 The present day image of baby Aylan lying face down lifeless on the beach is just so heart-wrenching. It reminds one of the Bosnian crisis. Innocent death and we sit in comfortable houses, feeling pain and doing nothing. Worse still, even if we want to do something, it just extends to money. I personally feel soiled in evil. Just to put this in context, some refugee research numbers. There were 19.5 million refugees worldwide at the end of 2014. 14.4 million under the mandate of UNHCR and the other 5.1 million Palestinian refugees are registered with the United Nations Relief and Works Agency (UNRWA). In 2014, the country hosting the largest number of refugees was Turkey, with 1.59 million refugees. By the end of 2014, Syria had become the world’s top source country of refugees, overtaking Afghanistan, which had held this position for more than three decades. These were hosted almost entirely by Pakistan and at one time were close to 4 million. If we take the worlds population as 7.3 billion, then the 19.5 million total refugees are 0.27 per cent of the population. What a travesty, where so many countries have per capita GDP over $ 50000 per annum (some as high as $97000). Even Greece, with all its issues and debts, still clocks $21,000. We are really an appalling species! We abandon our own. We cannot open our hearts to 0.27 per cent of our own and help them. That we happen to be born in the right place and right country is our luck. We could well have been one of these refugees. Forced to abandon life and trek across borders. Borders which I may add have been artificially created by us. The land belongs to Allah and we are life tenants on it, we do not own it. Worse still, instead of taking urgent action in the face of this crisis, the politicians are arguing about who is responsible. In this the beacon of light is the German Chancellor Merkel. She is leading efforts to approve a plan that would give refuge to people fleeing war and hunger. France seems to have agreed, but the other European countries are blocking this plan. One prays that humanity prevails and some plan is approved soon. Otherwise, the blood of Aylan and others like him shall lie at the doorsteps of all of us. There is activation happening from Avaaz on the support of this plan. These politicians only get swayed by public opinion. So please get onto the Avaaz.org forum and pile the pressure of numbers onto these politicians, to force them to agree to this plan.